Calling all Woodseys! We are digging up those old song books, and hoping to bring back camp songs you all know and love. We will post the song titles and lyrics on here, and if you know the song, please help us out by sending a recording/video of you singing it! We will then re-introduce it to our volunteers this year, and keep on adding and adding to our Woodsey traditions. There is something wonderful and liberating about being in the woods. Having grown up in suburbia, I did not have too many experiences in nature; oddly enough, I was the kid whose parents DID NOT allow him to be a Boy Scout. Most of the time, it seems like parents force their children to join these programs. As a result, I had to explore the woods from the safety of my own room, reading books like The Call of the Wild and Hatchet. Even though I consider myself to have had a privileged life, it wasn’t until college that I had the opportunity to experience the outdoors. Jumping in and out of a car to take pictures, from stop to stop, was not my idea of experiencing the Grand Canyon or Yellowstone. 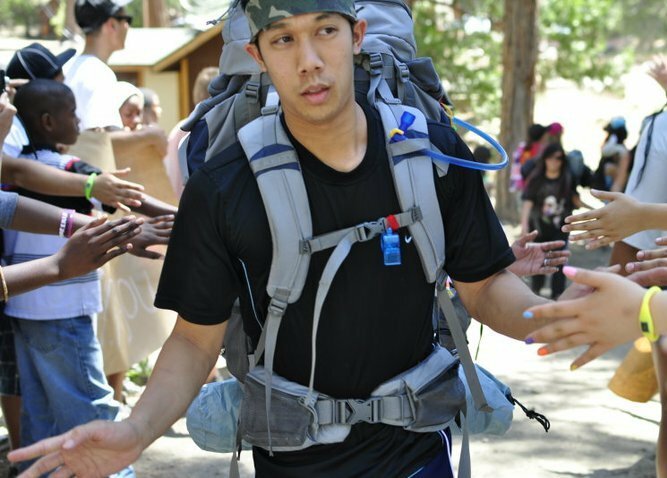 In college I began rock climbing, camping, and hiking, and eventually backpacking through the WALL program. Although for the most part, I was only an hour away from my life in LA, those few hours spent in quiet were incredible. I would sit; watching birds, listening to water spill over falls, the whispering wind, and then write down my thoughts on paper, free from all the critical voices of the people I left at home. If I grew up in the inner city like many of our campers, I could only imagine feeling crushed by the constant noise and pressures surrounding me. The need for children to experience nature is extremely important, Richard Louv, author of Last Child in the Woods, states: “Very few children in today’s society even play outside!” Call me a romantic dreamer of yesterday, but it bothers me that kids spend all day inside connected to their iPods, Facebook, and video games. What bothers me even more is my own attachment to these things! Given that a majority of American kids aren’t experiencing the outdoors, the WALL program seeks to provide the under-served an equal chance to explore in nature. This year we will be celebrating the 25th anniversary of the WALL program and plan to serve close to 100 campers. In addition, we are in the midst of an experimental summer, hosting 2 hikes during Session 3, with the goal of expanding our reach, and allowing for twice the amount of WALL campers to be able to participate in the future. In an attempt to discover the roots to this program, I sought out the first WALL Program Director, Eric “Moose” Stein, who was pivotal in the formation of the program in 1988. My roommate in college, Coyote, had done camp in the summer of 1985. He had come back telling me about what a great experience he had, as well as the amazing friends he made. I was convinced, and joined camp as a result. Why did you develop the WALL program? I didn’t develop the WALL program alone; it was a group decision, in large part by the camp director at the time. 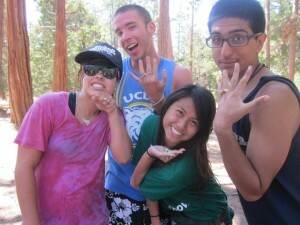 At this point, I was in my 3rd year in camp, and we had a junior counselor program. These kids were older, had their own unit, and served as floaters within the camp. We wanted to build a program for them that included high adventure and a challenge. Thus, the WALL program was started in 1988. Did you have previous backpacking experience before, or did you have to learn it all from scratch? During this time, I was a high school teacher, and had my summers free. I was an avid backpacker and so was able to train my volunteers on the various survival skills. I also became first aid certified, and would accompany the WALLers on their hikes. What was special about WALL? At that time, UniCamp was held at Upper and Lower Site. WALL stayed exclusively at Upper Site before taking off on their hike. However, upon return, the WALLers would join the rest of camp at Lower Site, sharing their experiences and encouraging the younger campers to participate in the WALL program in the future. 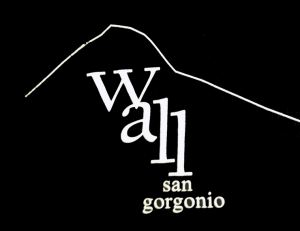 As well, WALL was the only co-ed program at the time, and made for a unique experience for the campers. Is there any advice you would like to give to the WALLers this year? .For the advisors, I would tell them to have fun, and that WALL is a very special experience, as you are working with kids that are transitioning into young adulthood. This is a very important time in their lives, and there is a lot to be gained by the campers from have the WALL experience. How has the WALL program impacted you to this day? As a counselor, Head Counselor, and member of the Board of Trustees, I would say that WALL has provided me with the most lasting memories. As well, it is something that I am most proud of, not to say that it would not have happened without me, but that it was a great niche that I found in camp. It’s not about me but the lasting memories, and the fact that the program is still going strong to this day. I leave you with the following quote, as I strongly believe in the merits of the WALL program, and the experience it provides to the underserved youth of LA.